Dubbed a ‘modern jazz revolution’ by Pitchfork magazine and the ‘figurehead of the new jazz revival’ by The Guardian, Kamasi Washington returns to Rio de Janeiro for the first time in two years as part of a Latin American tour. 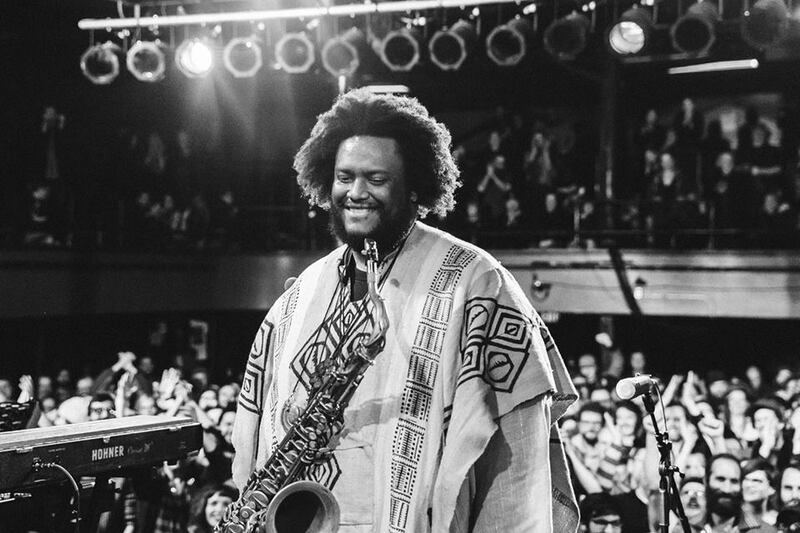 RIO DE JANEIRO, BRAZIL – Kamasi Washington is returning to Rio de Janeiro this Saturday, March 23rd, when he plays Lapa’s legendary Circo Voador. The jazz saxophonist, composer, producer and bandleader is returning to the Cidade Maravilhosa for the first time since his sensational performance at the city’s Theatro Municipal in April, 2017. Washington will also be making stops in Curitiba, Porto Alegre and São Paulo, before heading on to the Lollapalooza festival in Buenos Aires, Argentina, photo internet reproduction. Fans of modern American jazz will be thrilled to see Kamasi Washington grace the famous Circo Voador stage this Saturday evening. The multi-talented composer and instrumentalist is touring to promote his latest album, 2018’s ‘Heaven and Earth,’ a two-and-a-half-hour double disc that featured fellow modern jazz hero Thundercat, as well as Terrace Martin. Washington first came to prominence after he won the John Coltrane Music Competition in 1999, and he has gone on to collaborate with artists such as Herbie Hancock, Lauryn Hill, Snoop Dogg, Flying Lotus and Chaka Khan. Perhaps his most famous collaboration to date was with American rapper Kendrick Lamar, when they teamed up to create 2015’s ‘To Pimp a Butterfly.’ The album went on to garner the 2016 Grammy Award for Best Rap Album, as well as being nominated for Best Album of the Year. However, his debut album, 2015’s ‘The Epic’ – an almost three-hour-long jazz odyssey – also featured on the end of year ‘best of’ lists of publications such as The Guardian, Pitchfork, Rough Trade and Stereogum. Washington will be supported by award-winning pianist Jonathan Ferr and veteran disk-jockey DJ Nepal. When: Saturday, March 23rd, 9PM.